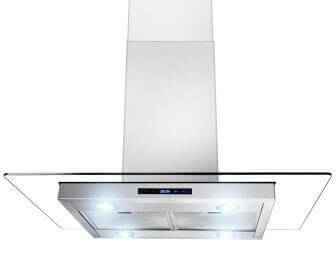 Add to the look of your kitchen with this Golden Vantage GVAIS2-36 Stainless Steel Euro Style Mount Range Hood. It features a contemporary design and it is made with only the highest quality of stainless steel and tempered glass. It has a powerful blower motor as well as good illumination with four 2-watt LED lights. 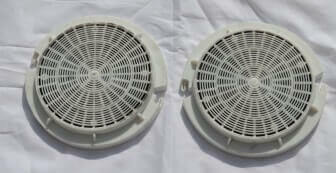 This unit also features anodized aluminum filters that can be cleaned in the dishwasher for hassle-free maintenance. Non-return air flaps keep heat from escaping when the unit is not in use. It is as stylish as it is functional with a brushed stainless steel finish and tempered glass wing accents. It is easy to operate with a three-speed LED touch control panel. Unless you are a do-it-yourself pro, you may have a difficult time installing this unit by yourself. If you are you'll find the installation to be on the easy side as far as these units go. It can be installed as ventless or vented, and the choice is up to you. This unit is rather heavy at 68 pounds, so it will take one very strong person or more to install it. How does one use the clock on this range hood? You just need to hold onto the clock button until you notice that the time begins to blink and then use the buttons on the right of it to increase or decrease the time in minutes or hours. Once set to what you need, press again to set it. Is there a ventless option? Of course there is, all you need to do is purchase the charcoal filters separately. What height above the stove is an ideal position to place the range for maximum efficiency? If you're looking to make the best use of this Golden Vantage 36" Range Hood you would want to install it at a height of around 36" above your cooking range. Try and not to exceed the 40" mark. There are other questions that customers have asked on Amazon, most shoppers don't bother checking them out, but in order to make an informed decision you should definitely take a look. 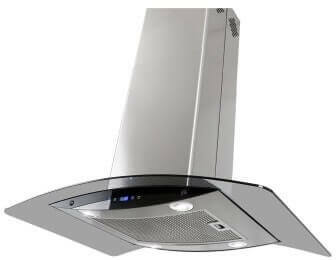 The Golden Vantage Stainless Steel Euro Style Mount Range Hood is excellent value for the money you spend. 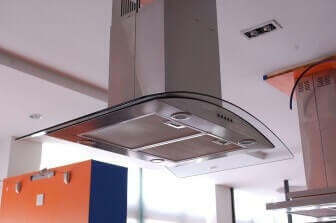 It is made with high quality stainless steel and the air flow is excellent. A majority of the reviews are very favorable and the 3-year warranty from the manufacturer also adds confidence for buyers. Buying a range hood is not small investment and it's for the long term and hence you would want to make sure you're getting absolutely the best, so before you buy check out some customer reviews.